(St. Christopher National Trust) October 11, 2018: The history of trade and money in St. Kitts is the focus of a new exhibition at the National Museum, set to open on Tuesday October 23rd. 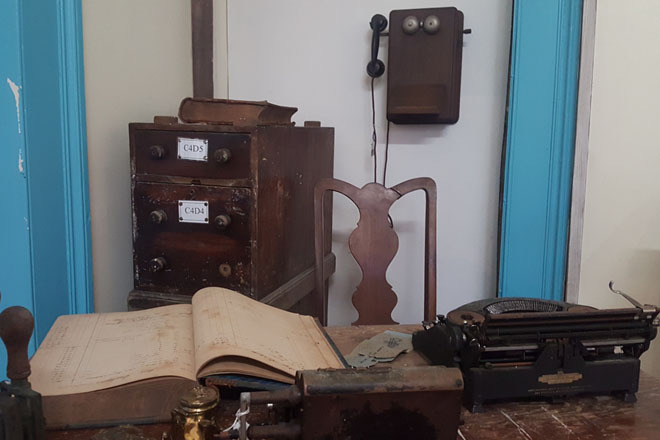 A joint initiative between the St. Christopher National Trust and the Eastern Caribbean Central Bank, the History of Commerce and Banking Exhibition explores the marked shift in the island’s economy following Emancipation. The new exhibition features trade-related artifacts and documents and a number of coin collections. The National Trust Collection is a collection of coins that were used in the territory before Emancipation, up to the turn of the century. There are also collections of Eastern Caribbean currency before and after the formation of the Eastern Caribbean Currency Union. The exhibition will also highlight some of the businesses that were founded in the 19th century that are still in operation in some form today. The History of Commerce and Banking Exhibition opens to the public at the National Museum on Tuesday October 23rd and runs until Friday November 30th. The National Museum is open Monday – Friday from 8:00 a.m. – 4:00 p.m. and Saturdays from 9:00 a.m. – 1:00 p.m.